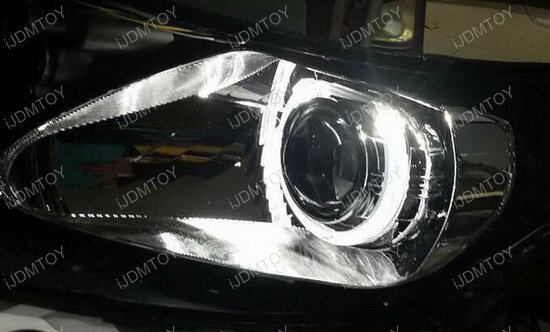 Q: Does this retrofit headlight projector/shroud combo fit my car? A: This is a highly customizable product, so the installer should be able to fit the assembly into the vehicle as long as the space is wide and large enough for accommodation. 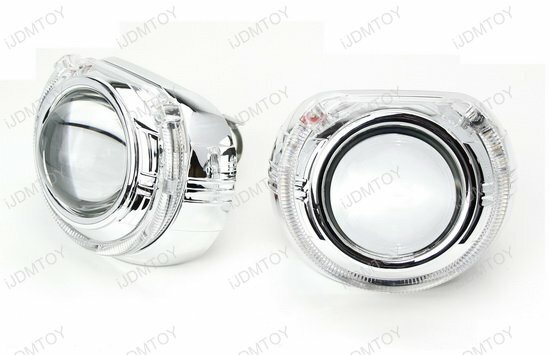 Q: Are these retrofit projector lens for headlight street legal? A: Yes, all these are DOT compliance. 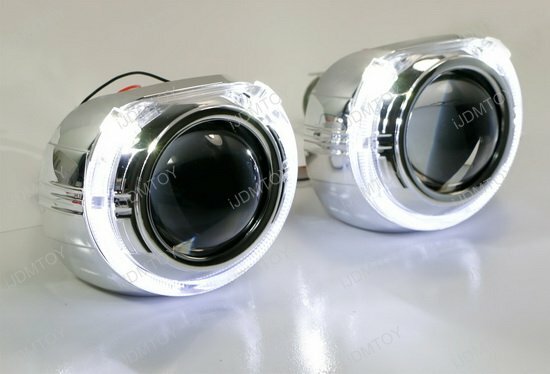 Q: What are the bulb sizes used for these projector lens? 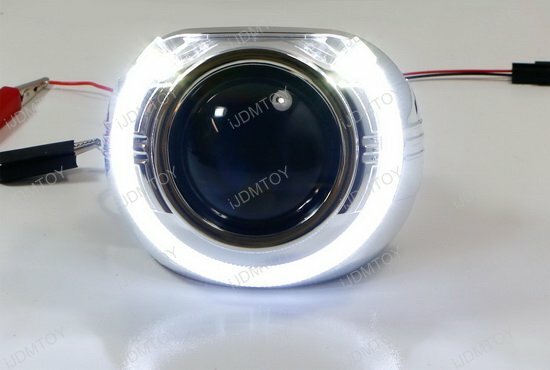 A: The bulb size is D2S and you can use this projector lens directly for H4 (9003) head lamp housings and with some modifications, you can also install these projectors for H7, H8, H11, 9005, 9006, 9007, H13 bulb sizes as long as the space is long and big enough to fit. 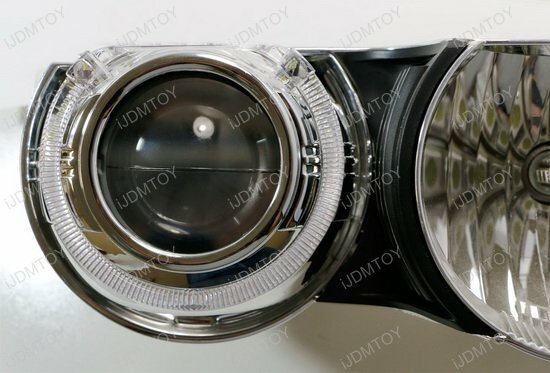 A: There's a magnetic device inside this projector lens to move the cut-off line up and down to create low beam and high beam effect. 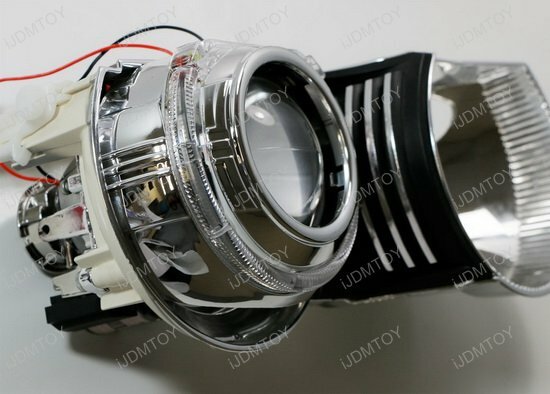 Q: Can I use HID conversion kit with this projector lens? 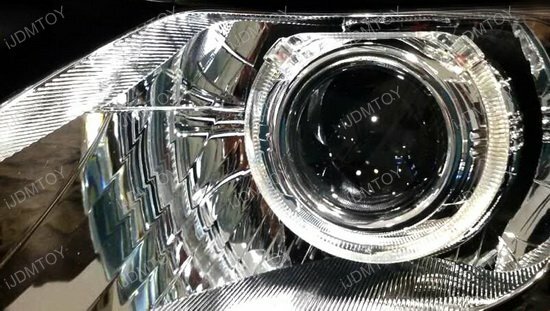 A: Of course, you can use HID system with this projector lens, and the bulb size is H1. 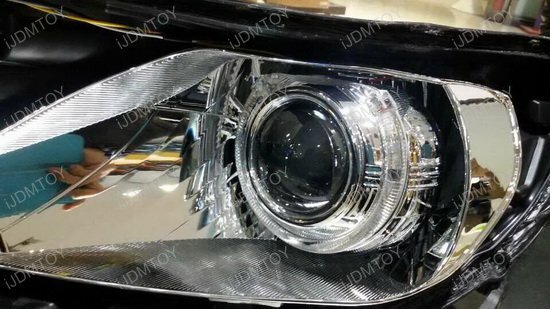 Q: How do I open the headlamps? 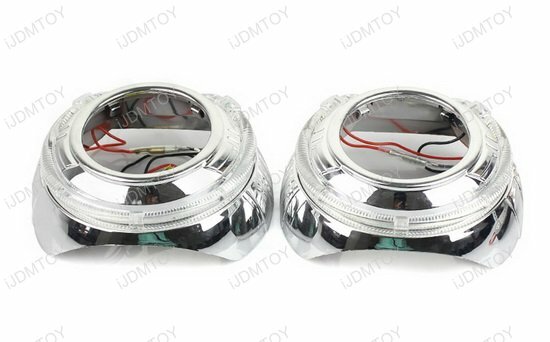 A: We have two general installation guides here, you can take a look. 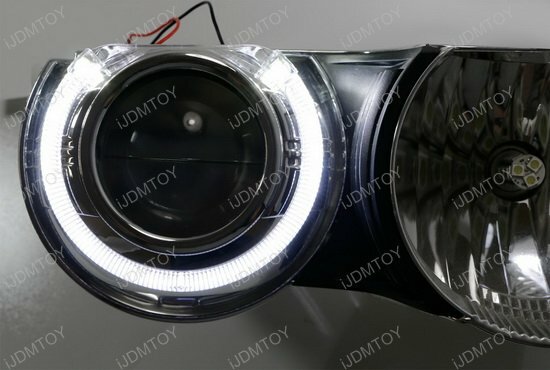 However we highly recommend professional installation for this product. 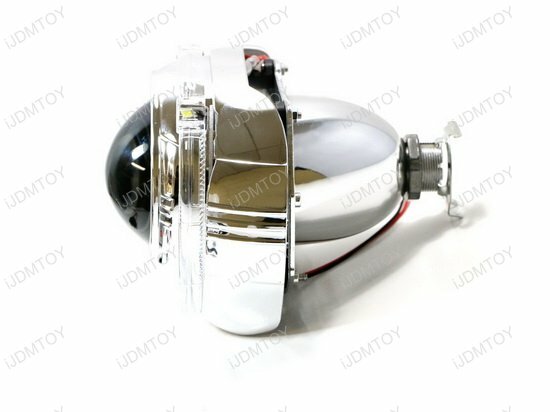 Q: How do I install these retrofit projectors? 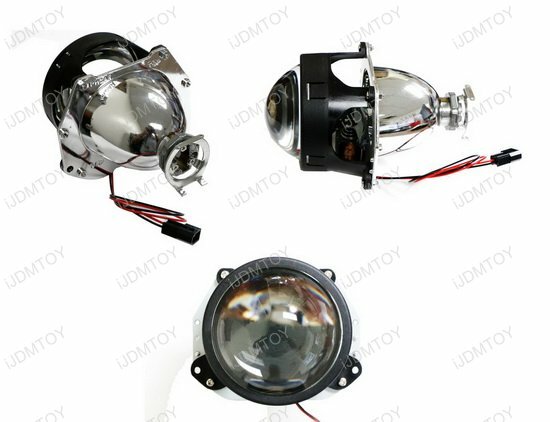 A: We have this general video to show you how to install these retrofit projectors, please take a look. 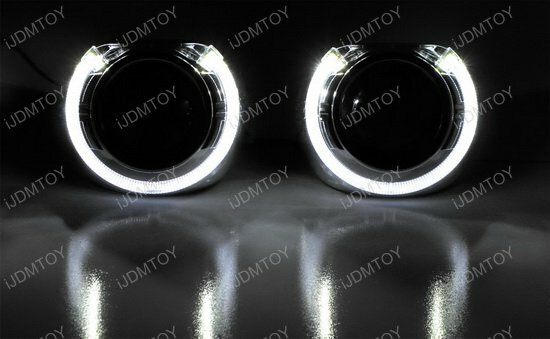 This page features one pair of newly designed, larger size 3.0" H1 bi-xenon projector lens with S-MAX style LED halo ring angel eye shroud, powered by 10W high power CREE LED lights. 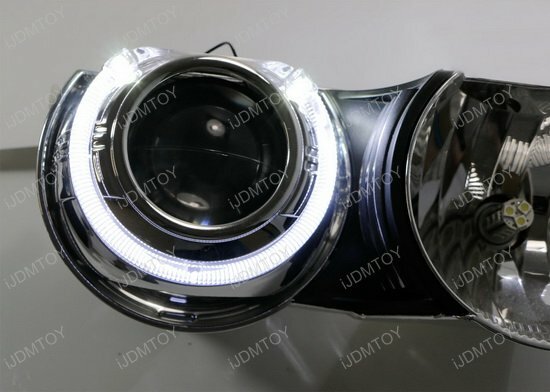 This is a bigger 3" projector lens upgrade that has a super bright, fierce output many enthusiasts crave. 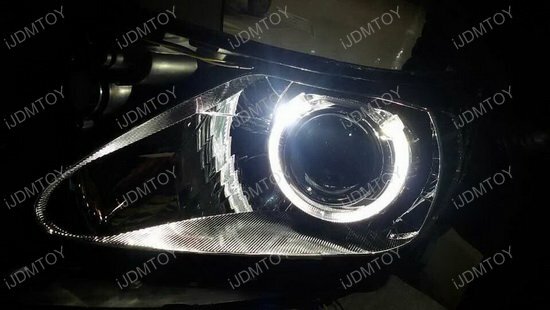 The projector lens combined with the iconic S-MAX style LED halo ring shroud gives off the best possible outcome and light projection that lives up to its name and is supposed to be experienced first hand. 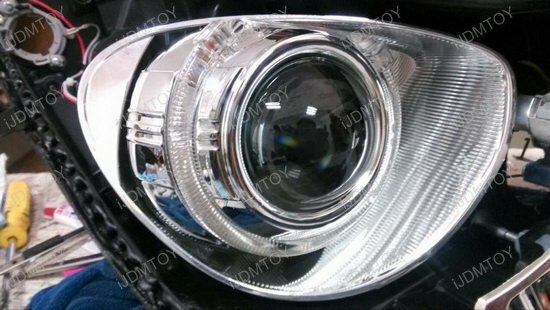 The convenient universal fit size makes it compatible for retrofit conversion for lots of cars, SUVs, and trucks. All you need to do is make sure your vehicle has enough space for accommodation.